The start of a new year is always a great opportunity to try new things, which is why we always encourage everyone to take a break from running on the road and give trail running a try. Anything new can be intimidating but it doesn't have to be if you have friends join you. Over the next several weeks we'll have quite a few FREE opportunities for you to join us on the trails without any fear of being lost or left behind. We'll introduce you to terms like "Riking" (run/hike) to conserve energy, because it's not how fast you go, but how you enjoy the journey. So come on out and join us at the Cochran Mill & Ragnar course previews. If you're ready to tackle the trail, you can sign up for the Dirty Spokes Heritage Park or Cochran Mill trail races. If you like the team aspect and fun environment, gather a group of friends and sign up for the Ragnar Trail - Atlanta event. Make 2019 the year you challenge yourself while still having a great time! This week on the RUNATL Podcast Mike & D2 sit down with Christian Griffith, an accomplished Ultrarunner & Adventurer that has cheated death and pushed his body to the limit. This conversation is raw, powerful and unapologetic, as he shows all of us how he’s channeled his emotions to serious accomplishment, while still encouraging others to stand up to their own demons - - as he continues to stand-up to his. Nominations are now being accepted for the 2019 edition of the "50 Best Running Stores in America" Awards. In previous years Big Peach Running Co. has been honored for being selected as one of the "50 Best Running Stores In America" and with your help, we can continue this streak. If you're a fan of ours if you feel we represent you and the Atlanta Running Community if you feel Big Peach Running Co. has contributed to your health, and Pedestrian Active Lifestyle, then we'd appreciate your nomination. Nutrition is critical to making your run efficient and optimal. In this session, we look at foods that can help you maximize your run while helping to burn fat. Secure a spot today! RSVP here. Our friendly Ragnar Ambassador will be stopping by to talk about the Ragnar Trail - Atlanta event and answer any question regarding the race, what gear you need, and the fun you can expect! Our friends from Balega Socks (try & test on your run) and Trigger Point will be with us as well. Learn how to use Trigger Point products to help stretch and recover from your runs. 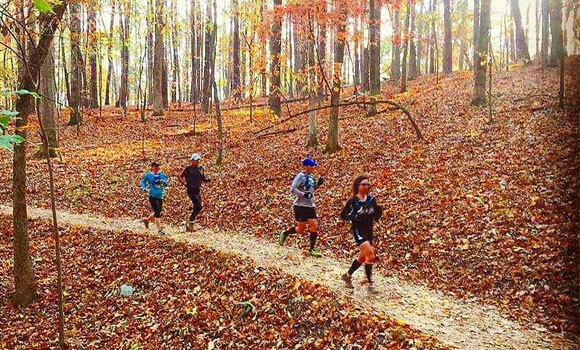 Use the code BPRC19 for $80 off Ragnar Trail - Atlanta team registration. RSVP here. Back by popular demand, Empower Yoga is returning and will be presenting a free, 30-minute "Yoga for Runners" class following the group run. Reserve your spot today and bring your mat! RSVP here. Midtown - Tuesday, January 22nd: Our friends from New Balance will be part of the group run fun with demo models for you to try out that night. RSVP here. Decatur - Tuesday, January 29th: Join us for the group run at our and stick around for information about the upcoming Atlanta Hot Chocolate 15K & 5K in February. One FREE race entry will be raffled off, and steaming apple cider will be available to all group runners. RSVP here. Midtown - Tuesday, January 29: Join us for a fun Ragnar night run! We'll have reflective giveaways for all, a couple awesome raffle prizes from Nathan, PLUS a discount to any @ragnarrelay event! RSVP here. The Spring Marathon Training Series continues at our Midtown location so you can still join in. On Saturday, January 26th, our friendly Brooks Running Rep., Bridget, will join us with demo shoes you can take out on the 5-mile or 10-mile route. RSVP here. The Big Peach Midtown crew invites you to join them at Cochran Mill Park (25 miles from downtown Atlanta) for a training run to prepare for the March 2nd race. Distances will be approximately 3.7 and 10.7 miles. This is a great course for first-time trail runners. Water and Tailwind will be provided for participants. Don’t forget to bring $5 cash for parking – and all your trail running questions! Our friend Cassy from Hoka will also be on site with demo trail shoes for you to try out on the course! RSVP here. 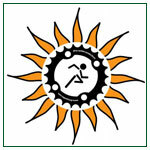 After the run cool down and relax with a yoga session by Empower Yoga and enjoy Hydration/Nutrition & Trail 101 Clinics. Big Peach On Wheels will also be on site for your convenience. We'll also have some raffles and giveaways for participants! RSVP here. Please read the dress code requirements when you sign up. We'll make accommodations for you as well. Sign up for the remaining 10 spots here! This race has a 7.5-mile & 2.8-mile option offering something for every runner truly wishing to "ditch the city". If you have never visited Heritage Park – do it! The course is beautiful and offers something for every runner truly wishing to ´ditch the city´. Nestled in the woods of suburban Atlanta lies a true gem. Big Peach Running Co. is proud to be back as a sponsor to this race series and we're offering a FREE entry* into any of the Dirty Spokes Trail Run Series with the purchase of any trail shoe! (Each race is limited to the first 10 free entries.) We're also offering In-store registration or you can register online. Use code: BPRC19 to save $80 off team registration & beat the price increase on Feb. 6th!